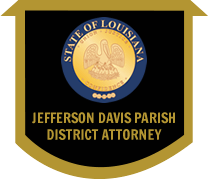 Pursuant to Louisiana law, a felony is defined as any crime for which the punishment may be death or prisonment at hard labor. Once a felony charge is received and accepted, the charge is assigned to an assistant district attorney who has a secretary who assists the prosecutor in preparing the case for court, including answering pre-trial motions, subpoenaing and hearing pre-trial motions, subpoenaing and preparing for trial, as well as pre-trial conferences with law enforcement and victims and witnesses. The assistant district attorney handling the case meets with all registered crime victims to discuss the case with them and to learn their feelings as to how they would like the case resolved. Once a felony is assigned to an assistant district attorney, that case remains with that assistant through the entire process. Currently, our office has six petit jury weeks scheduled annually; which are devoted to the trial of felony cases. Each assistant district attorney must file a pre-trial priority list in which he/she designates the order in which the cases will be called to trial, so that the defense attorneys, defendants, victim, and witnesses know where they stand. After discussions with victims and families, plea offers may be extended to defendants and, if accepted, guilty pleas are tendered.